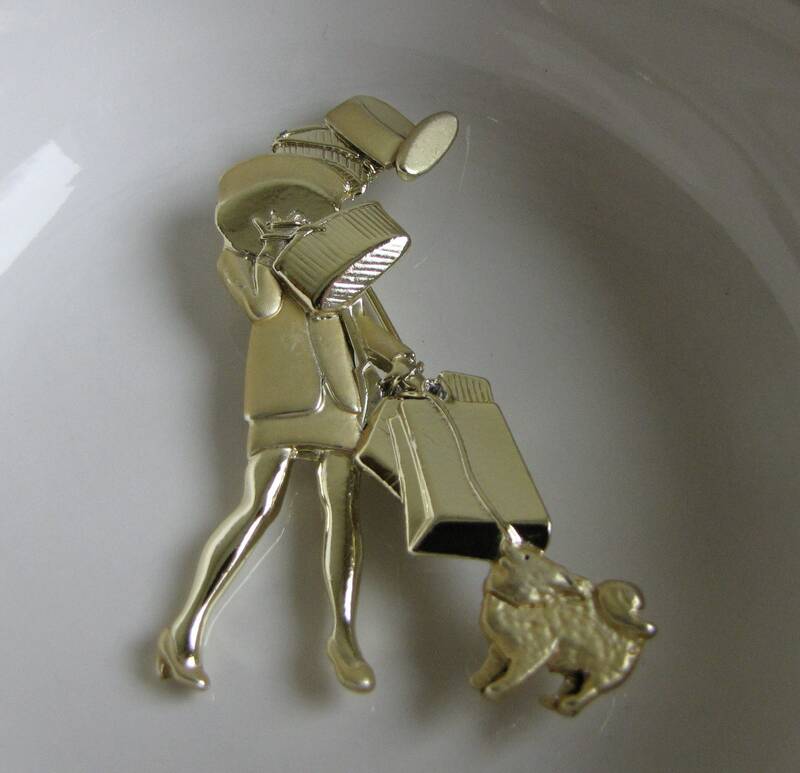 A lovely lady with lots of shopping bags being tripped up by a dog. 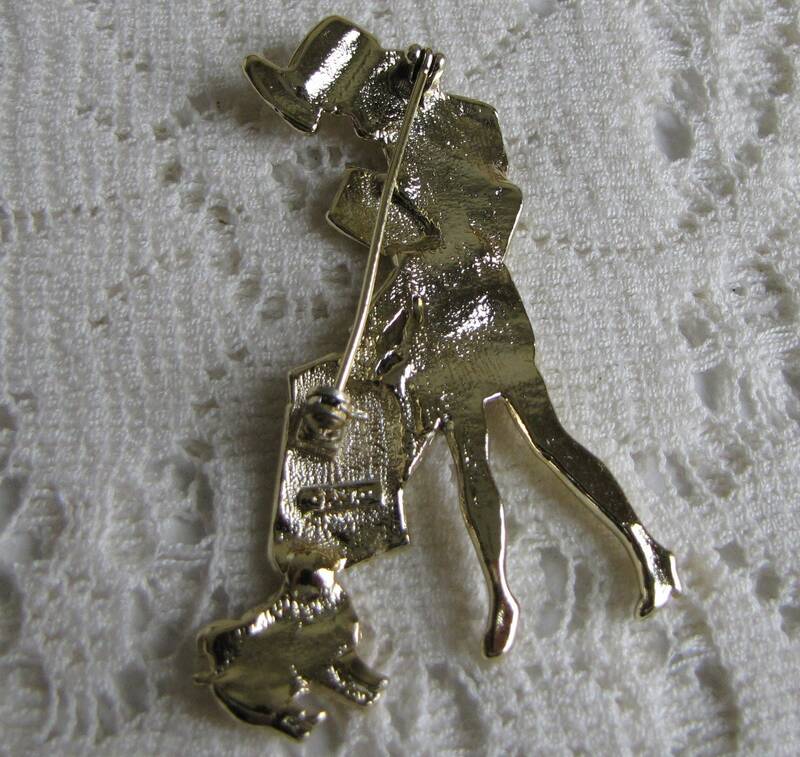 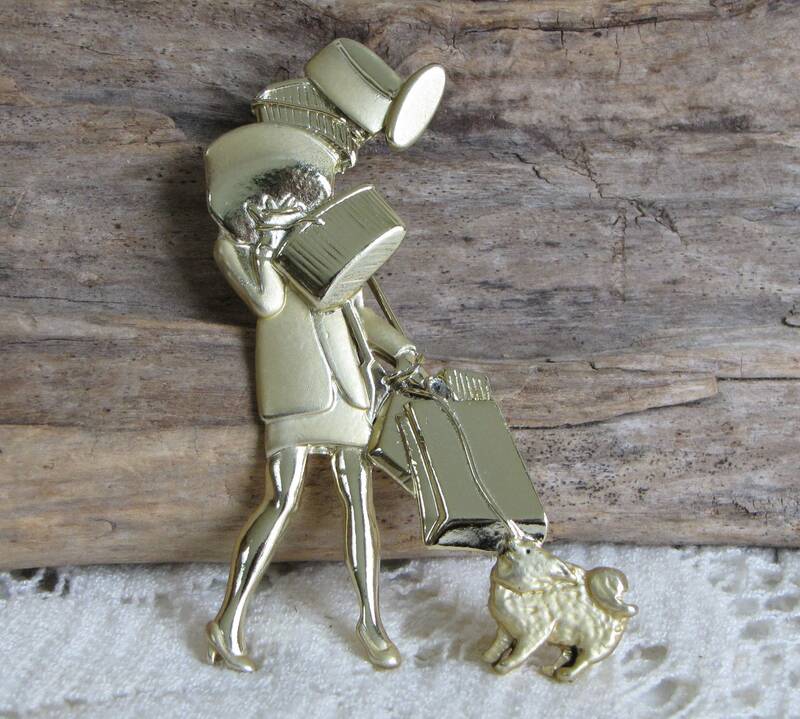 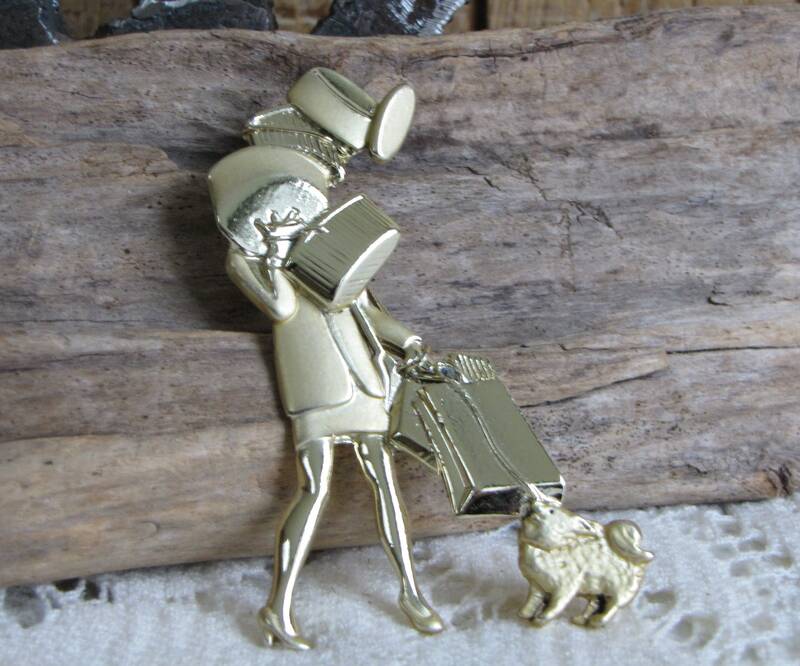 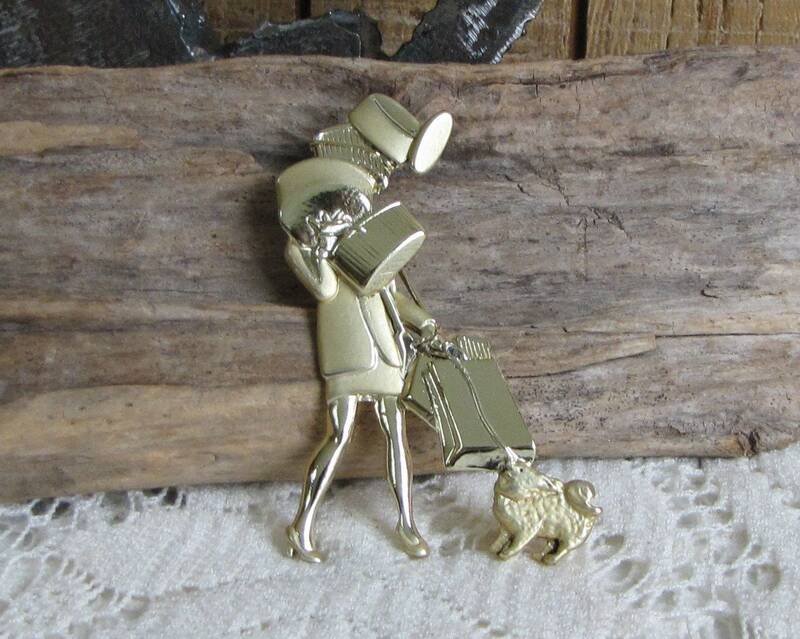 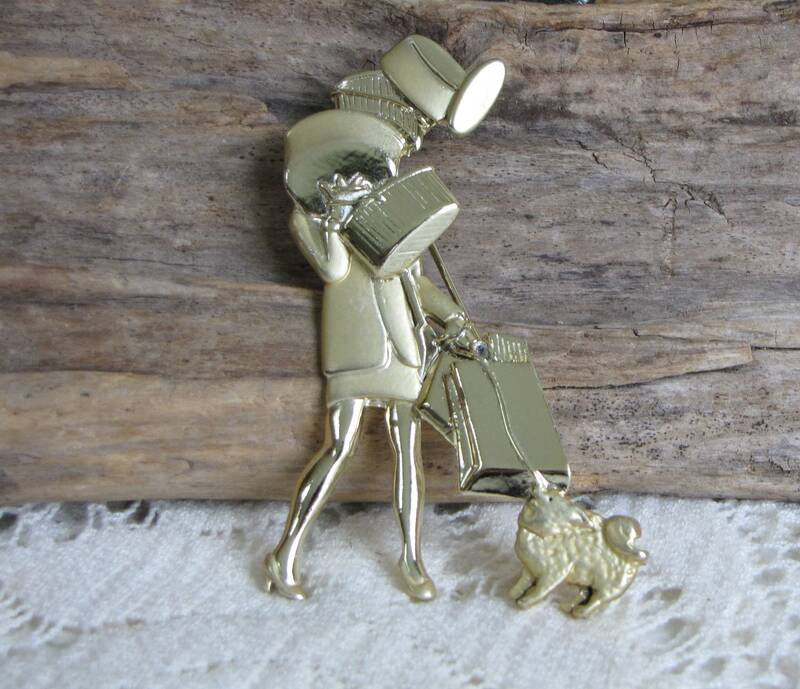 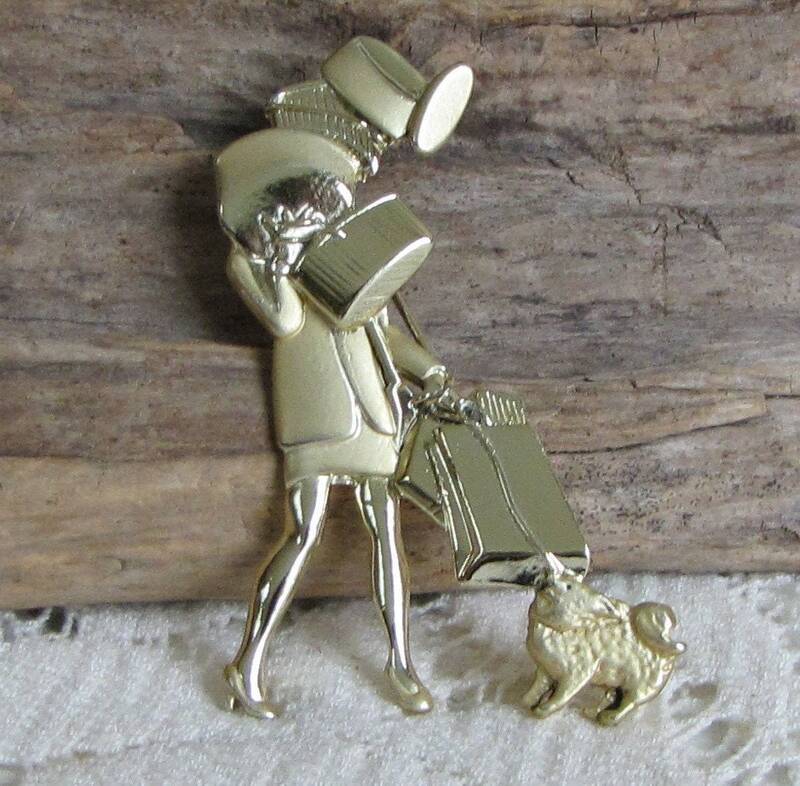 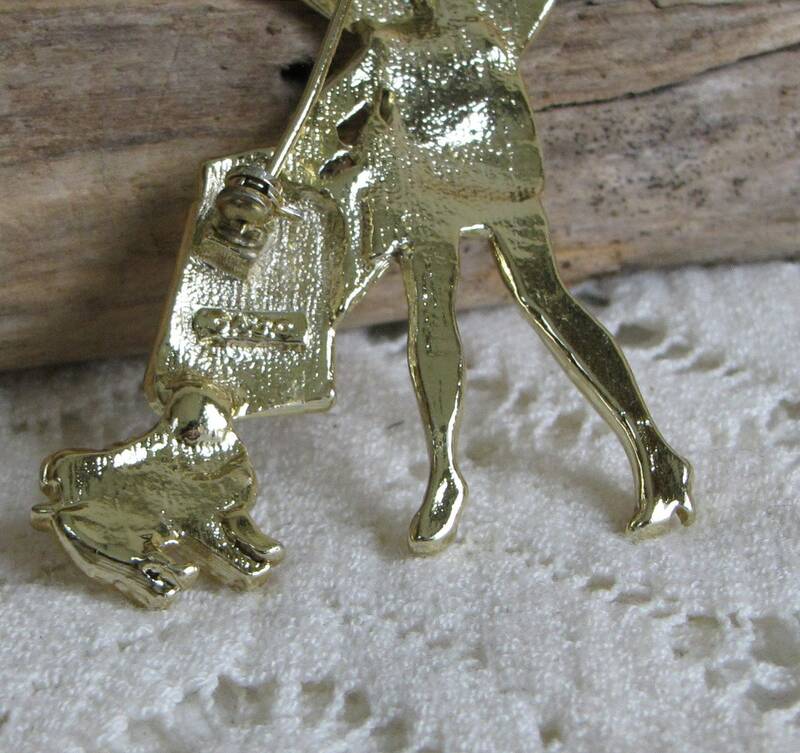 The brooch is a gold toned base metal and is in very good vintage condition with a good working clasp. 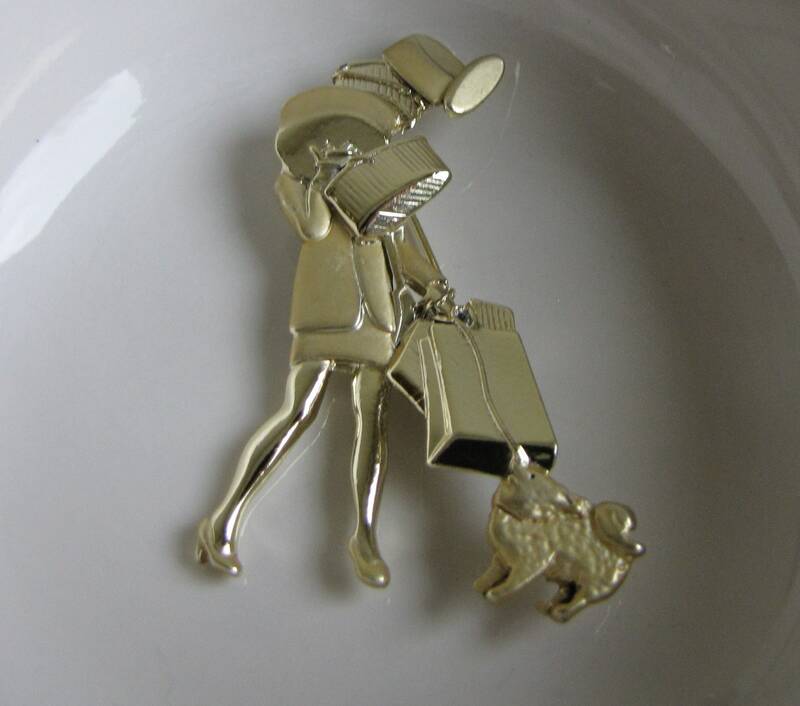 She measures 2.5 inches tall and 1.5 inches across at her widest point (the dog). 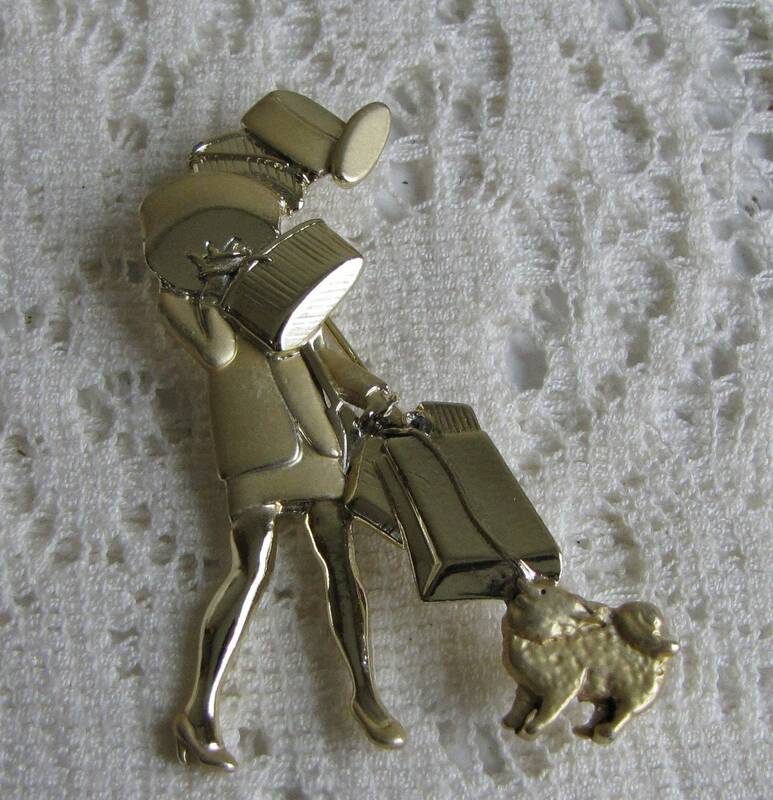 The American Jewelry and Chain Company created small quantities of unique scene brooches from 1927 to 1997.